The IM 5-on-5 co-rec basketball season consists of a 2-week regular season, 1 game per week and a single elimination playoff tournament. The spring 2019 season begins Thursday, March 28th and concludes in April. 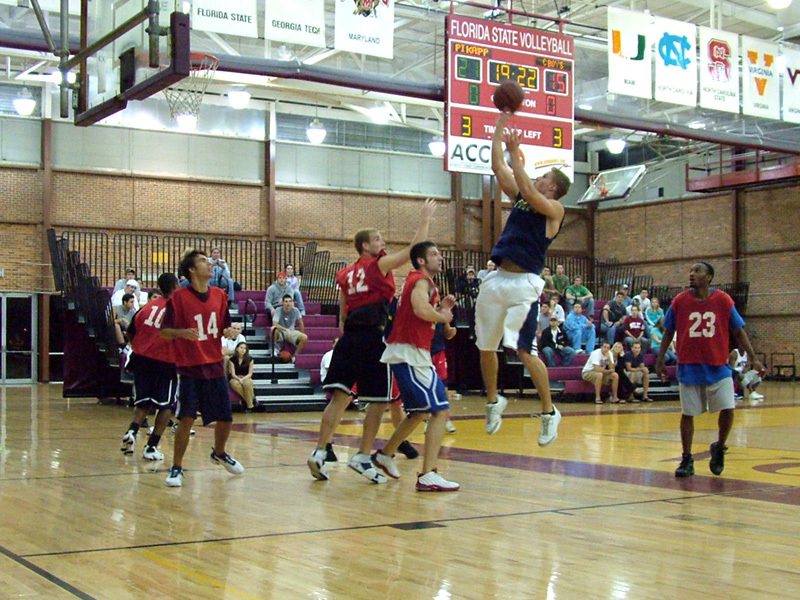 Participation in IM co-rec basketball is FREE for all current FSU students. Valid FSUCard is required at check-in prior to each game.